In a medium mixing bowl stir together Greek yogurt, mayonnaise, lemon juice, green onions, parsley while seasoning with salt and pepper to taste. 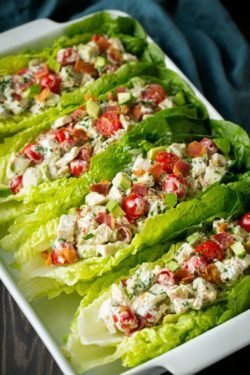 Add chicken, bacon, tomatoes and celery to a large mixing bowl (if you want some of the ingredients to show through set some aside to sprinkle over the top of the salad before serving). Add in the dressing mixture and toss to coat. Gently toss in avocado. 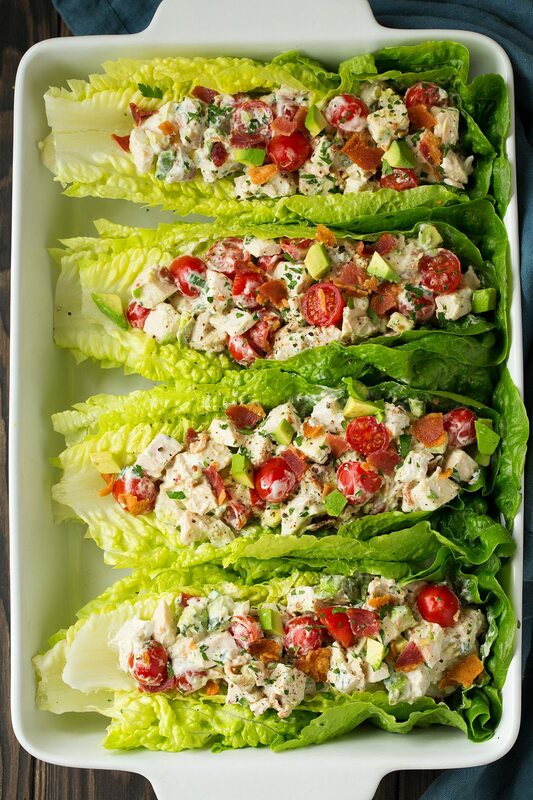 Serve over lettuce leaves (or in bread slices). *I didn’t add celery the first time I made it which is why it isn’t pictured but the second time I decided to try it and I like it much better with the celery. I like the crunch it adds.